Jakarta (ANTARA News) — U.S. 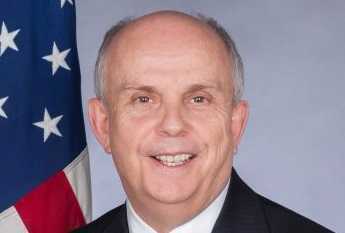 Ambassador to Indonesia, Joseph Donovan, Jr., has stated that blasphemy laws are jeopardizing the freedom of religion, expression, assembly and press. He made the statement in Jakarta on Wednesday in response to the recent decision of the North Jakarta District Court, which found Jakarta Governor, Basuki Purnama, guilty of blasphemy against Islam and sentenced him to two years in jail. “I am not going to specifically comment about the case, but I would like to say that religious freedom and freedom of speech are founding tenants of the United States. We cherish the freedom of all our citizens to speak freely about their opinions and their beliefs,” he said after speaking during a discussion panel themed “From Drill Bit to Digital Bytes: Thoughts on a Stronger US-Indonesia Economic Relationship,” held in Wisma.